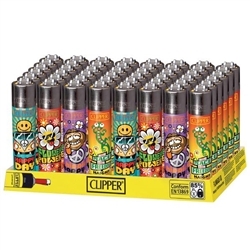 Super cool hippie styles on these functional and unique refillable Clipper lighters. The bohemian hippie styles are a great collectors item for any smoker who is into the hippie culture. 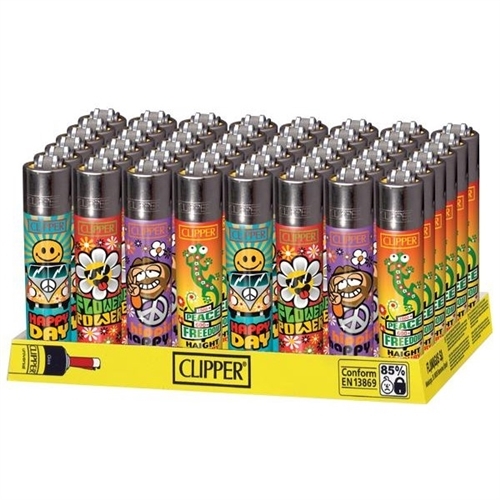 each box has 48 Clipper lighters.